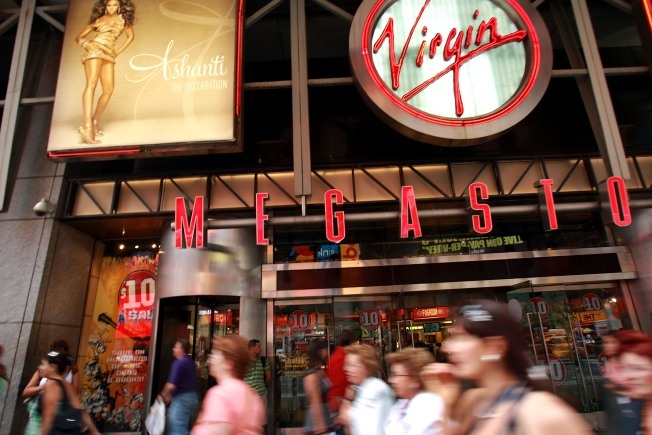 It’s the end of days for Virgin Megastore, a leading business and entertainment blog reports. The Wrap says all five remaining Virgin Megastores in the United States -- including the location in Union Square, -- will close by summer of 2009. The chain once operated 11 stores around the country. Official word of the closure will come Friday at Virgin’s corporate office in Los Angeles, the Wrap reported Monday. Virgin has already announced that it will close its flagship store in Times Square in April and the Union Square location in May or June. Dates have not been set for the closure of the remaining Megastores in Hollywood, Denver and Orlando. The company has been struggling since August 2007, when it was bought by two real estate companies. Music retailers across the country have been fighting a losing battle with Internet sales, the Wrap said.